Joseph Eric Williams had a definite technique to his robberies. Williams, 19, is alleged to have robbed as many as 15 AT&T Stores using the same method. He’d walk into the store, grab a few iPhones off the display shelves, and walk out. It’s simple, it’s easy, and I have no doubt that he had no problems selling the iPhones on the streets thanks to high demand. Get in, get out, get paid. The crimes were very well executed, but one thing brought Williams to justice. 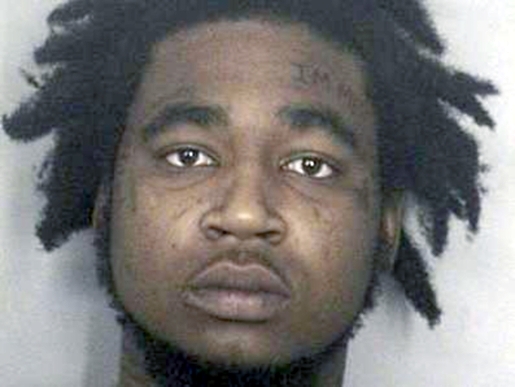 Police were able to identify the iPhone thief by his forehead tattoo. if you look at the picture, on your right/his left, you’ll see two words on Williams’ forehead. “I’m Me.” That little tattoo is what brought Williams down. Someone in his Miami Gardens neighborhood saw him, connected his forehead tattoo with the forehead tattoo mentioned on CrimeStoppers, and collected their $1000 in reward money by pointing him out to the police. The tattoo did the rest. This is why facial tattoos are a bad idea.